At an event in New Delhi today, Google.org — Google’s philanthropic arm, today announced additional grants of $3 million to Central Square Foundation and The Teacher App. Together with the partner NGOs, Google.org will help them scale their existing initiatives and fund content creation and teacher training, through tech-based learning solutions. As per the data shared by the Ministry of HRD, there are 11 lakh teachers currently teaching in schools that are not properly trained and according to a World Bank report, there are approximately 1,30,000 single teacher schools in India. The annual ASER 2017 report also points out the need to help students in 14 to 18 age group, to acquire foundational skills like reading and basic arithmetic. With a grant of a $1 million to The Teacher App in India, Google.org aims to empower teachers with the right training and resources on concepts of math, science, language, and pedagogy, for a more holistic learning experience. The funds will be used to scale the platform to reach 500,000 teachers in two years. “The success of our existing partners has given us the confidence to expand our efforts in India. We strongly believe that technology can play a powerful part in solving the learning gap in India, and we are expanding our investments in India to ensure that all teachers and students are able to benefit from it. These new funds will help contribute in building more locally relevant solutions and content for students and teachers.” — said, Nick Cain, Education Lead, Google.org. With online video emerging as a popular medium of learning, Google.org will provide a $2 million grant and technical assistance from the YouTube Learning team, to the Central Square Foundation to aid the expansion of high quality, curriculum-aligned educational video content. The grant will support a minimum of 20 content creators to produce at least 200 hours of quality Science, Technology, Engineering and Math content in Hindi and vernacular languages. These new projects are in addition to Google.org’s existing projects that were funded last year in India. Four NGOs — Learning Equality, Million Sparks Foundation, Pratham Books StoryWeaver, and Pratham Education Foundation got a total grants of $ 8.4 million to add scale to their existing efforts and help provide access to quality education and learning for all. Since receiving Google.org funding last year, the grantees have reached more than 800,000 students and teachers with their tools and programs across India. 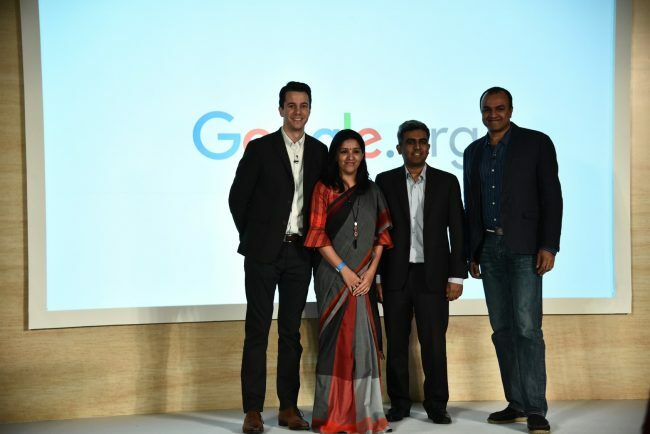 India was among the first country to receive grants from Google.org’s global $50 million commitment to support nonprofits who are building tech-based learning solutions that tackle education challenges in developing countries. With the additional grants, Google.org’s total grant for NGOs in India to support learning and education efforts stands at $11.4 million.